with The Jungle’s funky Glamping pods! 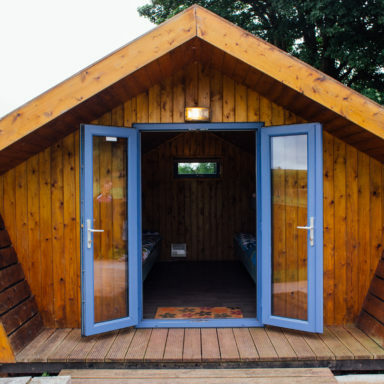 Bask in the splendour of the great outdoors, nestle safely from the wilds and camp in style by staying The Jungle’s funky glamping pods. 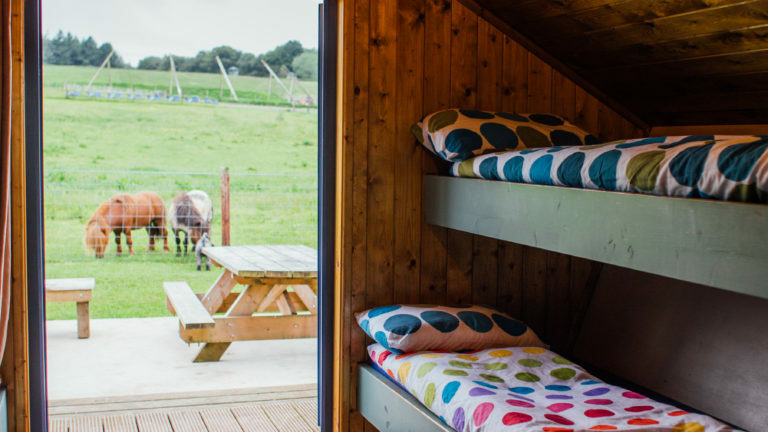 Glamping at the Jungle offers the perfect solution for those who love the great outdoors but fear the battle with a soggy tent! 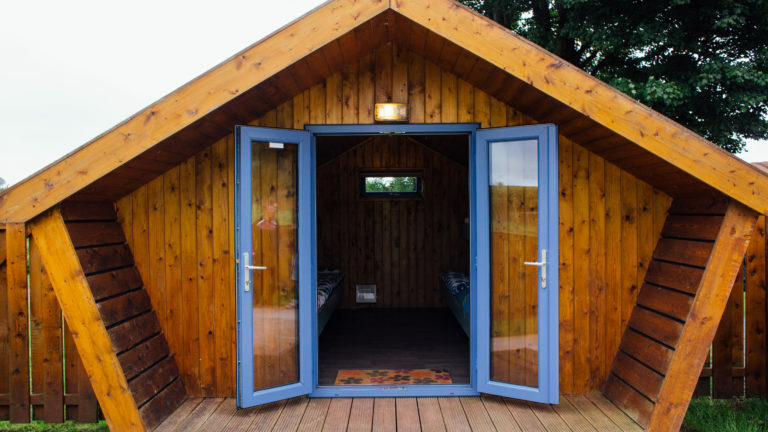 The Jungle’s onsite glamping pods are made from top quality, treated wood, insulated and luxuriously finished with double-glazed, lockable, French Patio Doors. 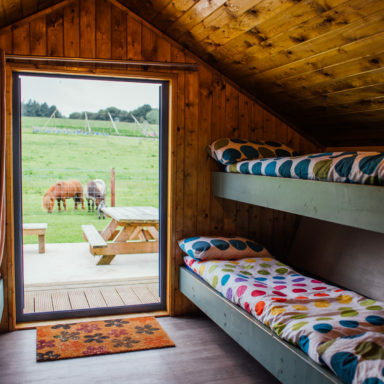 All told it makes them a perfect choice for both Summer and Winter escapes… and as we keep finding out, the perfect hen party base. 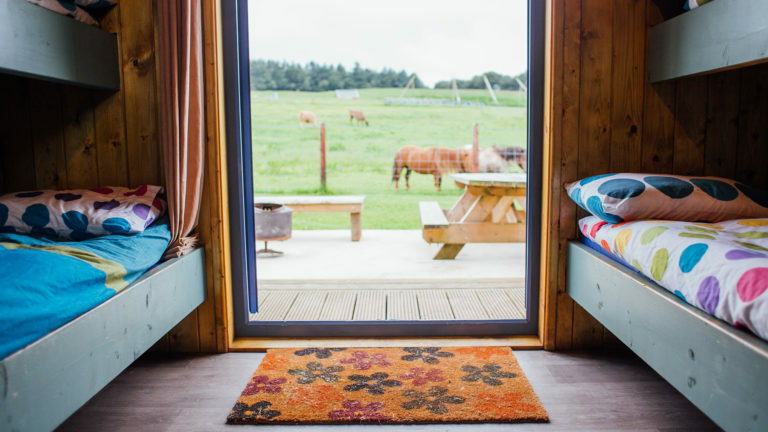 Equipped with mattresses, electric lighting and heating and power sockets, the Pods offer everything you could need for a comfortable escape into the wilds. 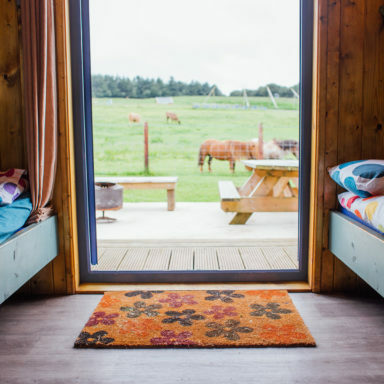 Each glamping pod sleeps up to 8 people on cosy, individual bunks. As you exit the French doors you step onto a patio area with a BBQ, fire pit, picnic table and fresh water tap. Check out time: Between 9-11am. Keys must be returned by 11am. 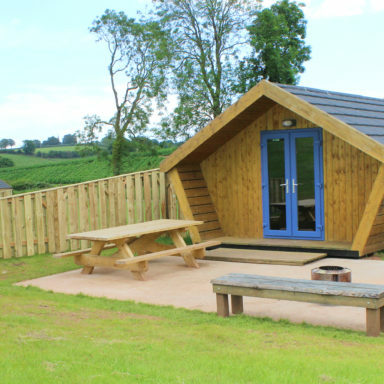 £50 security deposit per pod must be paid when checking in. This will be reimbursed when checking out, provided the pods are left in the condition they were found. 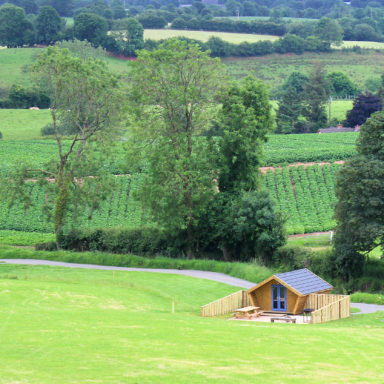 PLEASE NOTE high season Glamping Pods are a flat rate of £120 per pod on Saturdays throughout June, July and August. 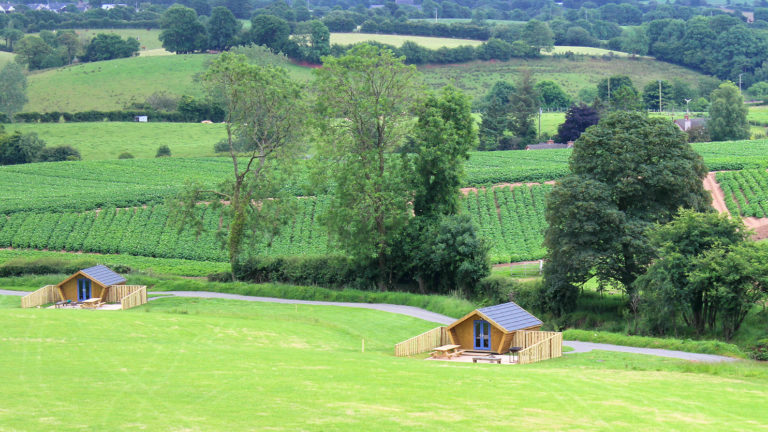 PLEASE NOTE Glamping Pods during Fright Night are a flat rate of £150 per pod. When booking, you will be required to provide details of which type of group and number of guests. 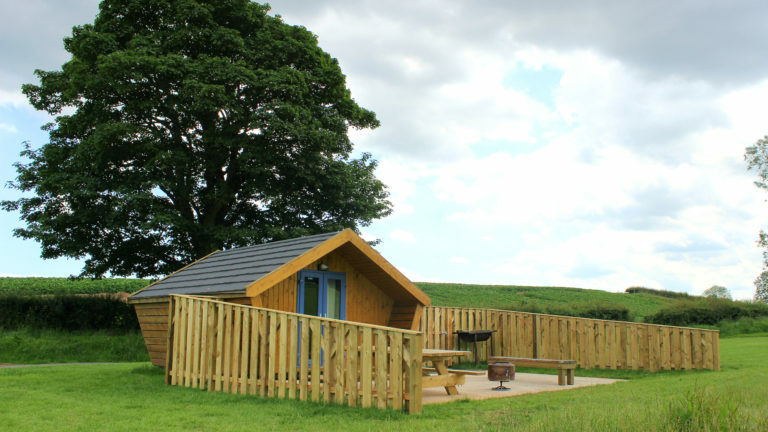 Glamping is only available to visitors who have booked activities. Activities must be booked before arrival at least a day in advance. 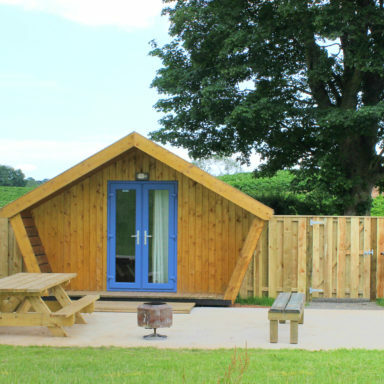 We can cater for a group of up to 32 within our Glamping pod option. 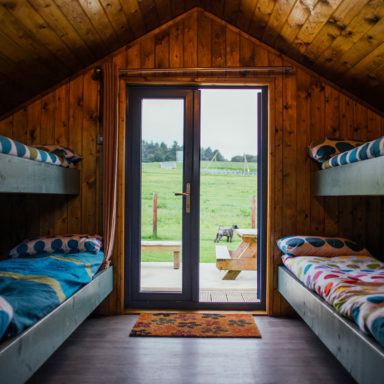 Each pod sleeps maximum 8 people. 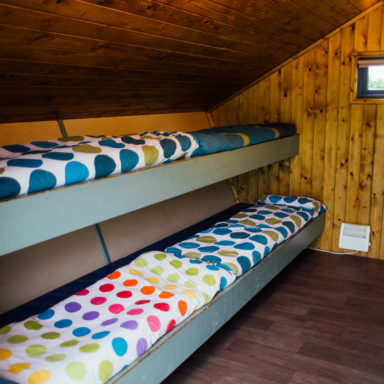 The pods are to be paid for in full at time of booking. 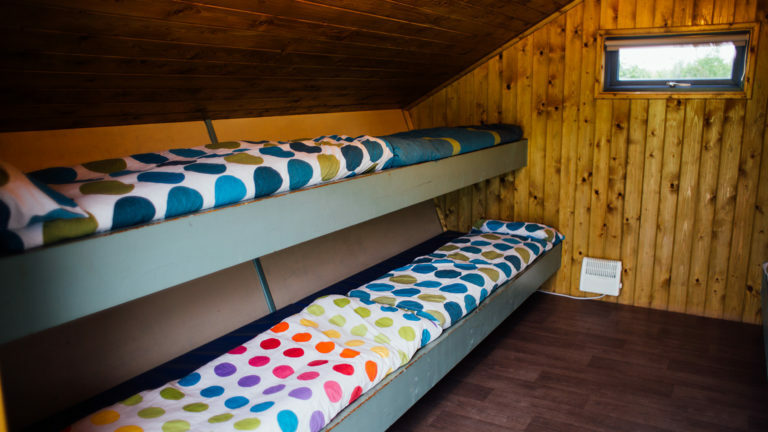 Bedding can be added to your booking for £8 per person. This must be booked in advance. 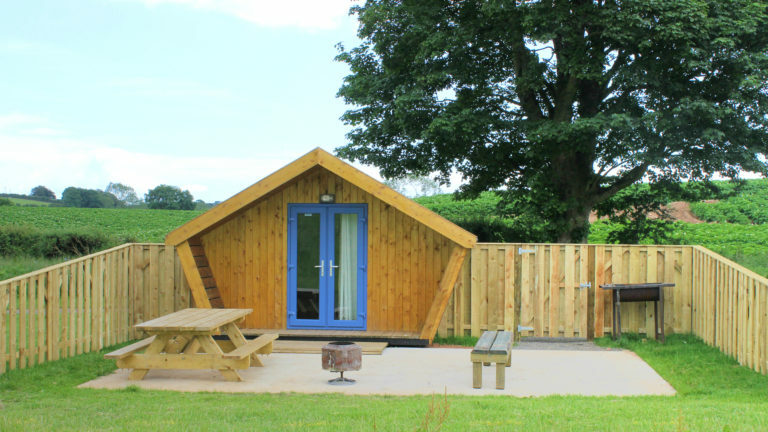 Glamping pods are on a first come first served basis and cannot be reserved or provisionally booked without payment. 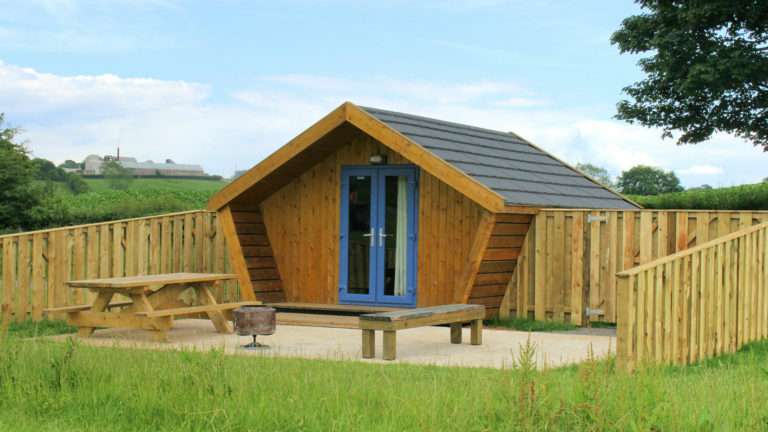 When Glamping, you are permitted to bring your car onsite and park in the Glamping car park, situated a short walk to the pods. Shower facilities are available onsite. Check-in between 3pm and 5:30pm unless otherwise arranged. Check-out between 9am and 11am. 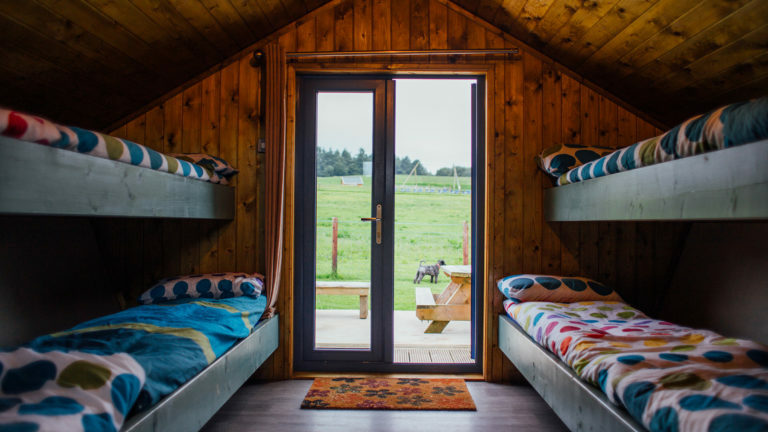 Glamping Pods must be vacated by 11am. If you wish to use the complimentary BBQ, you must bring your own utensils, plates, cups and glasses. Firelighters, charcoal and sticks can be purchased on site when you arrive if required. You* consent to our use of your personal information. You* are over 18 years of age and where there may be age restrictions in place, you declare that you and all members of your party are of the appropriate age. You* must be a member of your party unless we agree otherwise. You* are responsible for the behaviour of all members of your party. * It is essential the entire group is aware of the following Terms & Conditions. The person who makes the booking is responsible for ensuring that all their party is aware of the Terms &Conditions and that they are adhered to. IF ANYONE OR ANYONE WITHIN THE A GROUP FAILS TO ADHERE TO ANY OF OUR TERMS AND CONDITIONS, YOU WILL AUTOMATICALLY LOSE YOUR DEPOSIT AND THE RIGHT TO ANY REFUNDS AND IN EXTREME CASES ASKED TO LEAVE. As a group booking, all monies to be paid in advance. The group’s organiser is responsible for collecting the deposits and final balances which are required to secure the booking. On day of arrival all those attending will need to report into our Reception to identify themselves and sign our declaration. Only those guests originally booked are permitted to stay on site. Any extra guests will only be permitted on site at our discretion. If extra guests are permitted to stay, then extra charges will be incurred. The site owners also need to know about any day guests (i.e those not staying the night). They will also need to sign in at reception. Where the majority of the party is under 21 or includes any person(s) who are normally closely supervised, there must be sufficient capable and responsible adults over the age of 21 to provide adequate supervision for the party and each member of it. One such identified person must be present for the duration of the break and accept overall responsibility for the whole party. If we incur costs in providing assistance or supervision to your party we reserve the right to claim compensation from you. 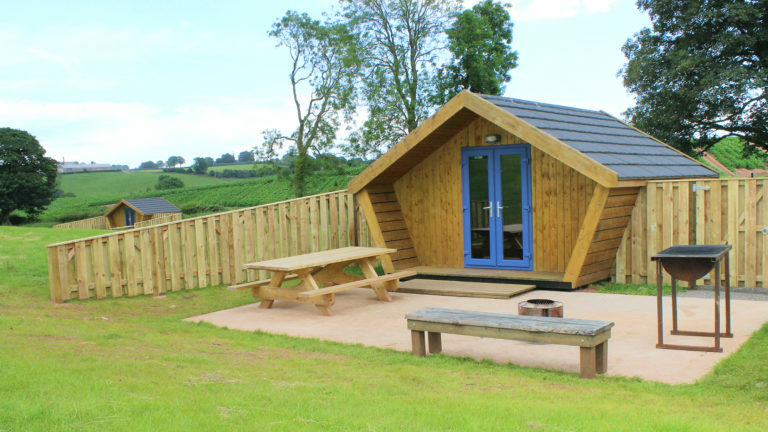 A £50 security deposit per pod is required when checking in. This will be reimbursed at check out, provided no damage has be done to the pods or extra costs have been accumulated. Smoking inside the pods is strictly prohibited. No music is permitted on site after 10 pm. You are NOT permitted to bring your own campfire – we can provide a fire pit for you. Please DO NOT use any branches, timber or other items you may find around The Jungle. Collection of fire wood from around the site is prohibited. 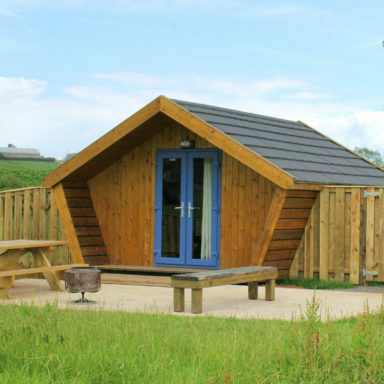 – You may only use the timber provided by the The Jungle at an additional fee. If you would like to make use of the BBQ, you must bring your own food and utensils. The Jungle can supply lighting materials at an additional fee. When enjoying yourselves here at The Jungle NI, particularly at night, please be considerate of other guests. Noise levels MUST be kept to a minimum after 9.30pm. If this rule is broken, then we reserve the right to ask noisy/disruptive guests to leave. Children must be kept under control during your stay. If there is excessive unrest, we reserve the right to ask noisy/disruptive guests to leave. 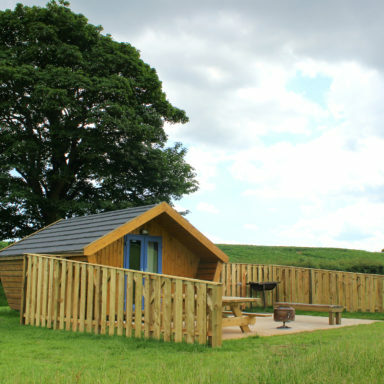 The Jungle NI at night is a quiet, peaceful, rural haven and is not the site for you if you want a ‘party’ venue. Pods must be vacated in the same condition as they were received. They must be left clean, tidy and free from rubbish. We ask that all guests check out by 11am. Check in can be anytime between 3-5.30pm. Outside these times, you must call ahead and arrange with the office. The toilets, bathrooms and shower units are to be respected and kept in a clean and tidy condition. You must not litter or leave waste behind. Please use the appropriate recycling facilities close to reception for glass, cardboard and paper. Bathing and Swimming in the lake is strictly prohibited. DO NOT enter any of the animal enclosures or pens. DO NOT upset or provoke any of the animals. By booking you agree that we have the right either during or after your stay to recover from you, (whether via the credit/charge or debit card, used) to pay for the break or otherwise, the costs of any property or accommodation damage, and/or any compensation we may pay to others, and/or any other costs, fees or levies which we may incur, resulting from your action or inaction and from any breach of this agreement. Terms and Conditions will be adhered to at all times. We reserve the right to ask any group or individual to leave the site if these Terms and Conditions are not upheld, without refunds.